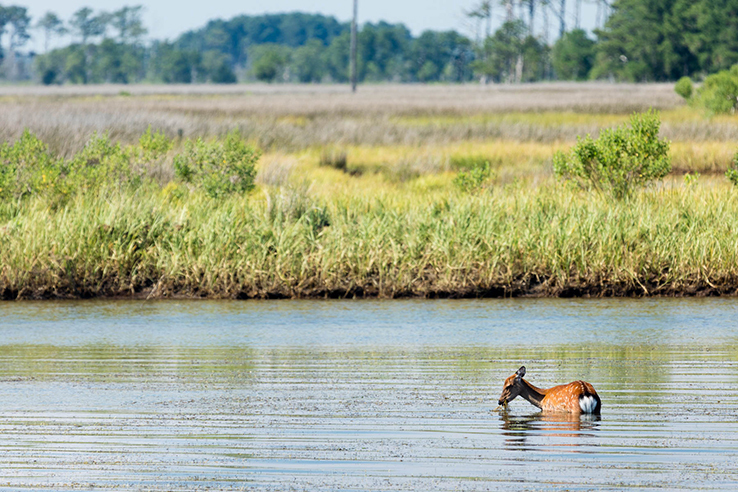 White-tailed deer are a common sight in the Chesapeake—they can be found year-round throughout the watershed, in habitats ranging from forests and farms to backyards and parks. 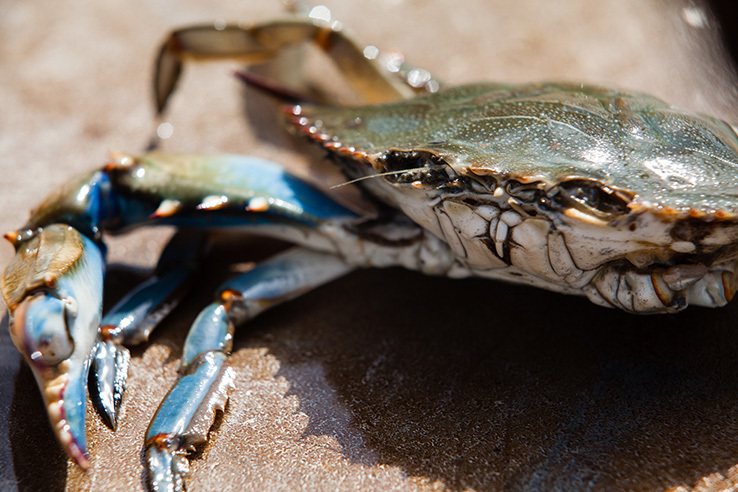 They are remarkably good swimmers as well as agile runners, capable of reaching speeds up to 35 miles per hour and jumping 30 feet horizontally and 8.5 feet vertically. These native deer suffered severe population declines in the early 20th century due to habitat loss and overhunting. Conservation efforts helped their numbers rebound, but the loss of many of their natural predators, like wolves, coyotes and bobcats, has now led to the opposite problem: deer populations are booming, checked only by human hunters. An overabundance of deer can lead to increased car crashes, damage to crops and stress to the ecosystem, as they consume more food and water than the area can sustainably provide. This can be especially harmful to young trees and makes maintaining new forest buffers a challenge. 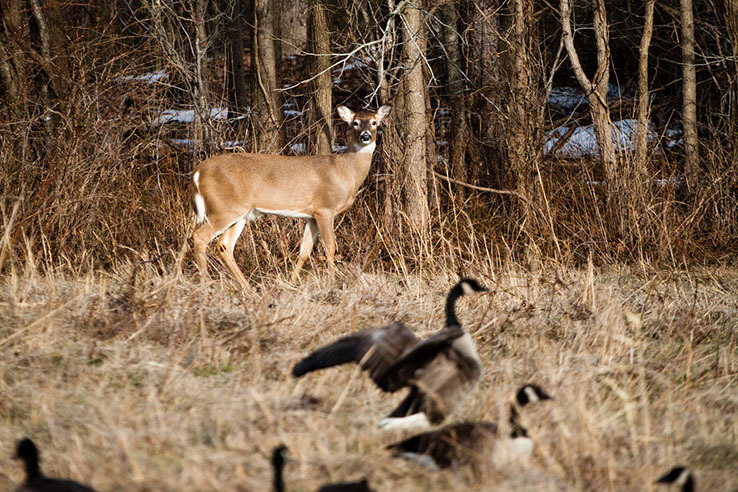 Today, states throughout the watershed have implemented deer management programs to try to maintain a population balance. 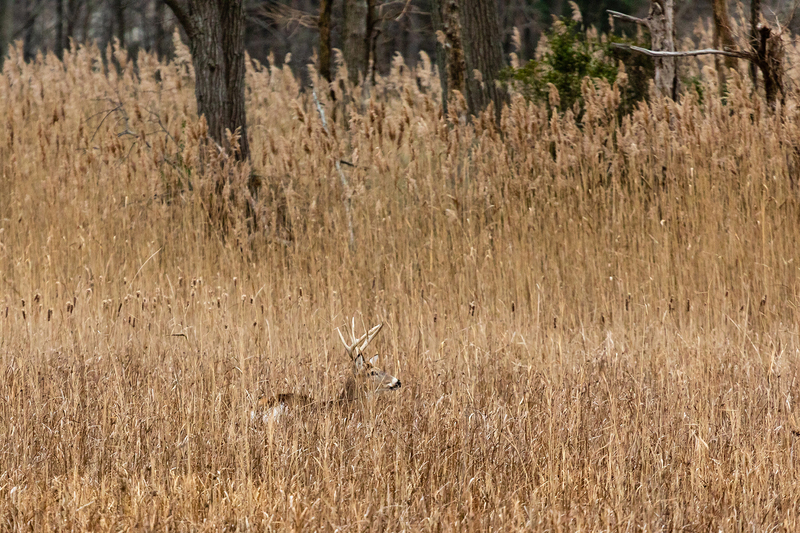 The Maryland Department of Natural Resources is currently revising its deer management plan and seeking public input through March 15, 2019. I feel there should be a lot more public hunting areas. And not just some a whole lot more. In most states you can hunt on 50% or more of the public lands. In Maryland it is somewhere around 30%. This is ridiculous and should be changed. We should be able to hunt at least with bow on virtually all state lands and more locale county lands should also be available.